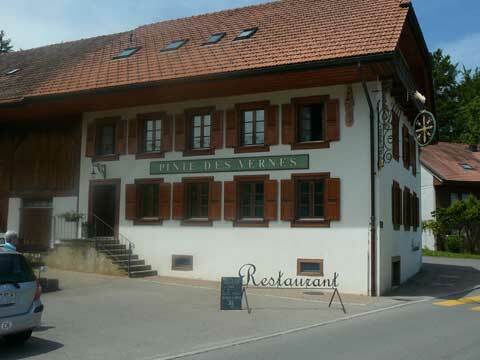 The menu list of the restaurant Pinte des Vernes in Pringy provides both some local specialties, like fondue or meringues with Gruyere double cream, and some dishes inspired by the French cuisine classics. The restaurant features a nice wine list. You will enjoy eating inside the old chalet-style building in the cold days and outside on the terrace in the summer, admiring the nearby castle of Gruyere and the Alps that surround the area.